In my previous post, I mentioned the tremendous Chinese growth and how big its online market space was. Let’s now go into a little bit more detail. For years the Internet in China has been regulated by what we describe as the Great Firewall. China has been blocking online searches of politically sensitive terms, smothering embarrassing news events or simply access to most social networks like Twitter, Facebook and YouTube. Founded in 2000, Baidu with 87% of market share is the largest search engine in China. Listed on NASDAQ since 2004, its market cap is currently around US$ 40Bn. Similar to Google, Baidu offers a complete set of search services (web, vertical, social and mobile). In 2011, Baidu invested in Xunar (the largest online meta travel search) and in 2012, they launched their Mobile Cloud computing division. Alibaba.com, the flagship company of Alibaba Group, is the world’s largest online business-to-business trading platform for small businesses. The company’s English language international marketplace (www.alibaba.com) serves to bring together importers and exporters from more than 240 countries and regions. Founded in 2004, Taobao is China’s equivalent to eBay. Part of the AliBaba Group and with 80M unique visitors per day, TaoBao is the largest marketplace in the country. In June 2011, Alibaba Group chairman and CEO Jack Ma revealed that Taobao will be split into three different companies: Taobao Marketplace (a C2C platform), Tmall.com (a B2C platform; then called Taobao Mall), and eTao (a shopping search engine). 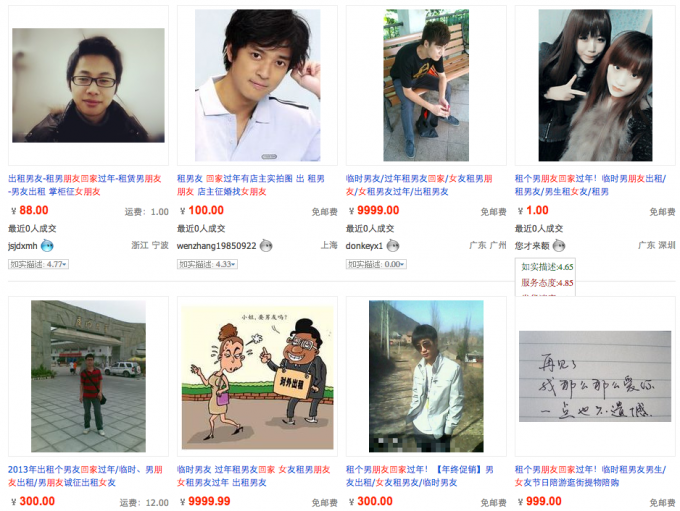 The private joke is that you can really buy ANYTHING on TaoBao, including a temporary boyfriend! Like FaceBook, RenRen.com started as a social networking platform for college students. Now open to the general public, it still remains most popular with students. Renren’s platform includes the main social networking website renren.com, the online games centre game.renren.com, the social commerce website nuomi.com and has around 170M active users. Launched in 2006, Youku is a YouTube with no limitations! It allows users to upload videos of any length but also offers a video library of popular films, TV shows and clips. It is even quite common for some movies to be available first on Youku before the official launch date in cinemas! QQ provides customers with a popular instant messaging software service (similar to MSM), online social games, music, shopping, micro-blogging, and group & voice chat. At the end of 2012, there were 785 million active user accounts with approximately 100 million users online at a time. ← The Chinese online opportunity – Part 1: It’s huge!